Don’t let either success or failure touch you. Accept that everything is impermanent, transient. When you live, work and play with this perspective deeply embedded in you, in your subconscious, you will perform best __ in whatever is your chosen field! 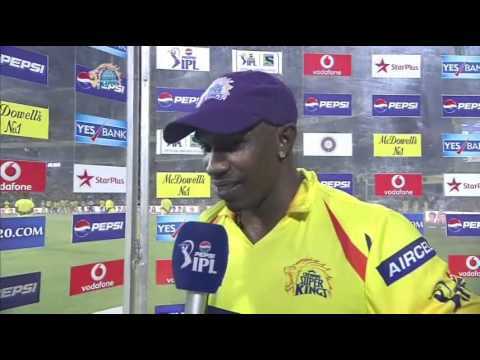 Last night, at the post-match presentation ceremony of the IPL (Indian Premier League, a top-draw T20 cricket tournament) in Chennai, Chennai Super Kings’ strike bowler, Dwayne Bravo, was invited by the anchor of the presentation party, Sanjay Manjrekar, to receive the Purple Cap. The Purple Cap is given to the highest wicket taker in the tournament. In IPL 6, the Purple Cap is being closely contested for by Sunil Narine, Vinay Kumar, Mitchell Johnson and Bravo. After last night’s match, the Purple Cap returned to Bravo, whose tally of wickets then stood at 24 this season. Bravo’s simple, down-to-earth philosophy inspired me. And so here I am sharing it. Let’s understand and appreciate that we are all here on this planet to simply play our lives’ parts well and enjoy ourselves. And we can do that by choosing not to cling on to anything. Success and failure are both events. They occur as a culmination of effort. Either our own or of others. When an event occurs, it also ends. For instance, with daybreak, an event, daybreak is over. With a sunset, an event, the sunset is over. With a victory, an event, the victory is over. With a loss, an event, the loss is over. It is when we take an event and make it a label and wear it on ourselves, is when we suffer. Because both success and failure are impermanent and transient. In a moment, they both have become the past. Clinging on to the past is never wisdom. Being aware of this truth, accepting, as the Gita Saram (the essence of the Bhagavad Gita) says, that what is yours today will be someone else’s tomorrow and another’s the day after, is what intelligent living is all about. When you live this way__playing your part well and enjoying yourself__you live freely. Without any shackles. That’s when your inner spirit is drenched in joy and you, therefore, perform best __ as if, like Bravo, you were on a song!